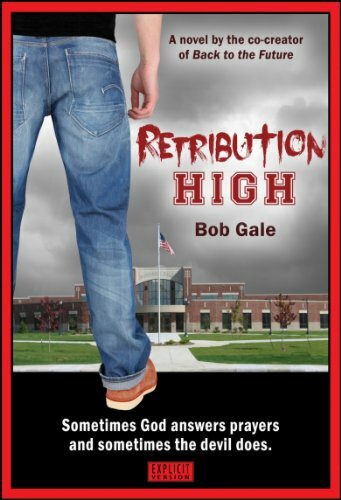 Retribution High is available in two versions, Explicit (red) and Standard (green). Both editions are priced identically, and there is no reason to own both because the story itself is identical. The novel depicts malicious teen bullies behaving badly. Very badly. The Explicit Version reflects the way these characters would talk, with dialogue full of profanity, cursing, sexual references, hot-word epithets, and hurtful gay bashing. Other characters also use coarse language, and profanity appears in the prose. As a movie, it would be rated “R” or “X.” If you're okay with profanity and descriptions of sexual situations, this is the version for you. However, if you have trouble with these things, please select the Standard Version, which contains none of the 68 words or expressions that can't be said on network television. Other than the language and the controversial party sequence in Chapter 8, the scenes in both versions are the same. If you're not sure, decide for yourself: click on the "Buy" link and use the "Look Inside" feature to read the first two chapters free. You can do the same for the Standard Version as well.